In 1784 John Filson who was livin in the Louisville, Kentucky area published a book that is little known today, but when it was published, it became a big international hit. The title of this 1784 book was called The Discovery, Settlement and Present State of Kentucke. The only reason this is mentioned here is because in the appendex of this book, he wrote a section on the adventures of Daniel Boone which made so popularized the Boone, that he became part of our national heritage. But success for John Filson was fleeting. 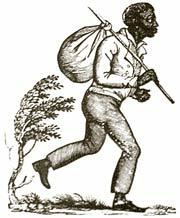 He spent several years teaching school in Louisville, he unsuccessfully tried to start a seminary school, and he also worked as a surveyor. Filson also had legal and financial difficulties. At the height of these problems, perhpas looking to escape these difficulties, he purchased some land north of the Ohio River along with 2 other investors. Together, they purchased 800 acres of land on the north side of the Ohio River where the Licking River coming out of Kentucky enters the Ohio. Being an educated man, he gave the area the unlikely name of Losantiville which was a combination of a lot of words from 3 different languages (Latin, Greek, French) that no one really understood except for John. That was in 1788. Because of conflicts between Native Americans living north of the Ohio River, it was decided a fort was needed to protect those early settlers. In 1789 a fort was built on a hill overlooking the river where today is located Third Street. There’s a small park near the intersection of Third and Broadway that marks the spot of Fort Washington. Cincinnati's prime industries were metalworking, wood products, and pork packing. By 1835, Cincinnati was the nation's pork packing center. It was even given the nickname Porkopolis. Hundreds of pigs would move through the downtown streets on their way to the slaughterhouse. One of the side industries resulting from so much pork processing, was the manufacturin of candles and soap. One of those industries was Proctor and Gamble which started in 1837. During her stay in Cinncinnati, Harriet Beecher Stowe became enveloped in the anti-slavery and later wrote her book Uncle Tom's Cabin as result of her experience on the Underground Railroad. 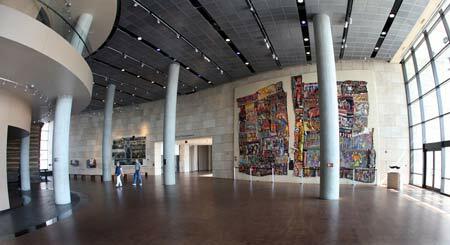 As a recogniting Cincinnati's importance in the Underground Railroad movement, the National Underground Railroad Freedom Center is located in the heart of Cincinnati. 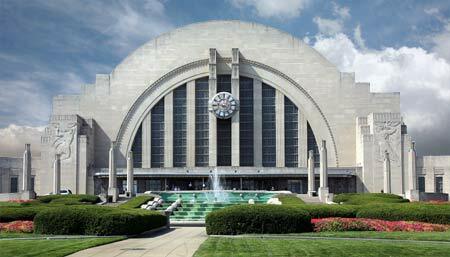 This impressive center is consistently rated as one of the top-ranked visitor experiences in Cincinnai. Visit 200+ acres of outdoor sculptures in this one-of-a-kind internationally recognized park that features of 60 works. The park was created by Ohio businessman, Harry Wilks and was opened to the public in 1997. After a $4 million restoration, the former L&N Railroad Bridge between Newport and Cincinnati will reopened as a pedestrian walkway. Officially named the Newport Southbank Bridge, the "Purple People Bridge" will be the longest connector of its kind in the country that links two states. 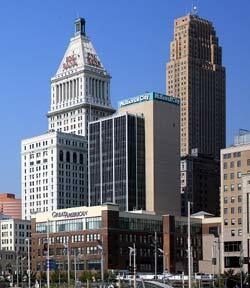 Fountain Square is the heart of Cincinnati, Ohio. Located at the corner of Fifth and Vine Streets in the middle of downtown, Fountain Square is a public space where Cincinnatians gather, celebrate and connect as a city. Presiding over the Square is the historic Tyler Davidson Fountain, dedicated in 1871 to the people of Cincinnati. Continuing the tradition of the original Cincinnati Astronomical Society, the Cincinnati Observatory Center presents free lectures and telescope viewing on most Thursday evenings. The observatory is also open for public stargazing on most Friday nights and many Saturday nights for a nominal charge per person.